"The Experienced, Personalized Service Dental Broker"
(3) op computerized G.P. w newer Belmont equipment. Digital x-rays, networked ops & Dentrix s/w. In a smaller town w very limited competition. Monthly Gross Collect $40K+ on a (3) day week. Cash/Ins/PPO patients. No Denti-Cal and no HMO's. Low overhead office. Seller to concentrate on his other office in L.A.
(3) op computerized G.P. 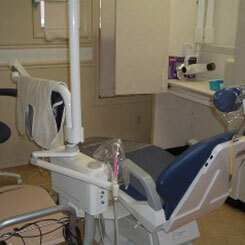 w newer refurbished Belmont equipment, digital x-rays & Dentrix s/w. In a town of 17,000 w very limited competition. Built out in mid 2009. Already collects $10K+/mos on a very limited schedule. Cash/Ins/PPO. No HMOs or Denti-Cal. Town is loaded w cash & PPO patients who work @ the prisons & hospital. This is a gold mine for the right full time Buyer. Seller’s plans have changed. Seller's loss your gain. (3) op G.P. located in smaller town. Only private dentist in town. Annual Gross Collections approx $375K+ on 3.5 days per week. Cash/Ins/PPO/Denti-Cal Patient Base. Very low overhead/very high net income. SELLER SAYS MUST BE SOLD! BRING ALL OFFERS!! South county location. General Practice and office condo for sale. (4) op computerized office. Nicely appointed and equipped office with like new equipment. Mixed patient base. Annual Gross Collections $500K+ with lower overhead. Seller retiring but will help with transition. (4) op computerized G.P./(3) ops eqt’d (4th) plumbed. Cash/PPO/HMO/Denti-Cal Patient Base. Monthly Cap Ck. approximately $3,500. Digital X-Rays. 2018 Gross Collections $602K+. On track to do the same in 2019. Refers out Ortho, Diff O.S., Diff Endo and Implant Placement. Seller does no advertising. Very Low Overhead, High Net. Seller retiring. CASH COW WITH VERY LIMITED COMPETITION! (5) op fully eqt’d comput G.P. WITH VERY LIMITED COMPETITION! Located in a free standing bldg. Bldg also available. On a main thoroughfare w excellent exposure/visibility & signage. Cash/Ins/PPO/pt base. No HMO and No Denti-Cal. Open Dental s/w, Digital CT Scan & Digital X-Rays. (6) sensors. Also has a soft tissue laser & a regular Pano. 2018 Gross Collect $600K+ on (3) to (4) days/wk. 24-25 new pts/mos. (4.5) Hygiene days/wk. Seller Retiring. (4) OP COMPUTERIZED G.P. AND DUPLEX FREESTANDING BUILDING. LOCATED ON A MAIN THOROUGHFARE WITH EXCELLENT EXPOSURE/ VISIBILITY/ SIGNAGE & OFF STREET PARKING. THERE IS (30+) YEARS OF GOODWILL. PATIENT BASE IS CASH/ INS/PPO/ DENTI-CAL. 2017 GROSS COLLECTIONS WERE $542K+ ON A (3) DAY WEEK. THE PRACTICE GENERATES (45) NEW PATIENTS/MOS. AND IS EQUIPPED WITH DIGITAL X-RAYS, DIGITAL PANO. AND DENTRIX G6 S/W. THE OFFICE IS PAPERLESS AND HAS ELECTRONIC BILLING. THE BUILDING IS 4,388 SQ FT AND SITS ON A LOT OF OVER 8,000 SQ FT. THERE IS AN EXISTING TENANT IN ONE UNIT. THE DENTAL OFFICE IS IN THE OTHER. SELLER IS RELOCATING TO BE CLOSER TO FAMILY, BUT IS WILLING TO ASSIST WITH A TRANSITION. 3,500 SQ FT DUPLEX MEDICAL-DENTAL BUILDING FOR SALE. Suite (#1) is 2,300 sq ft and is fully equipped with a (5) op G.P. 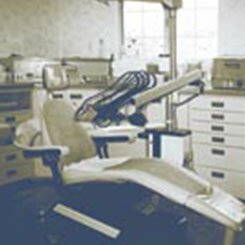 turnkey dental office including instruments and supplies! The second suite is also plumbed for dental but can be used for medical, chiropractic, accounting, insurance, etc. and has just been remodeled. The two suites could also be combined to make a larger single use dental or medical facility! The building is located on a major thoroughfare with monument signage and has (27) parking spaces and 10+ years of dental goodwill. Move your existing office to this great location and rent out the other side, or start a new practice in the fully equipped turnkey office. It's ready to go. All you need is a phone installed and you are in business! (7) op computerized G.P. located in a highly visible, easily accessible, free standing bldg. on a main boulevard. Great signage! All ops are digital x-ray equipped. There is a Pano and a Ceph, an experienced staff, and room to grow. (20-30) new pts/mos. (50+) years of Goodwill. Cash/Ins with some PPO pt base. No HMOs and No Denti-Cal. A Real Money Maker! The asking price of the practice is only 50% of projected collections and the price of the building is well below appraisal. We are selling the dental practice and the real estate for an amount equal to one year’s gross revenue! Consistent production year after year, regardless of the economic climate, from $480,000 to $500,000 per year on an “easy” three-day week. 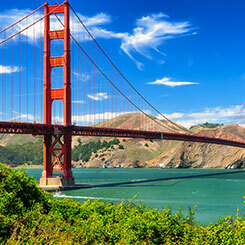 No Medi-Cal and no HMO’s. High percentage of collections. Owner retiring from private practice. Collected $485,000 in 2012. 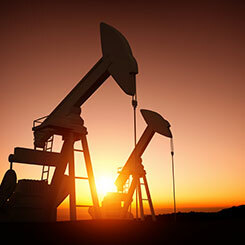 New owner can anticipate significant increase in production by working four to five days. “Operative” is booked 6 weeks in advance and “Hygiene/exam” appointments are booked 6 months advance. No paid advertising has been done, or found to be necessary, with the exception of Yellow Pages listings. In-house removable prosthetics lab with reputation for quality work. Removable prosthetics constitutes approx. 1/3 of production. 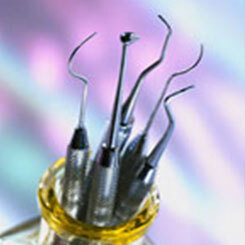 Restorative, crown/bridge and preventive services constitute the majority of production. A breakdown of production by procedure class is available on request. Free-standing and well-maintained 3,300 sq.ft. building. Highly visible corner location fronts busy main thoroughfare. This building was originally built as a dental practice and represents 65 years of goodwill. A rare opportunity to own your own building in a location where there is very little “competition”. 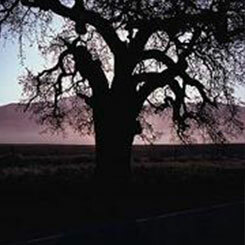 Loyal patient base, approximately half residing in the same zip code as the practice location and approximately half from throughout Bakersfield and adjacent communities. 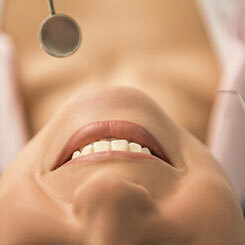 All advanced perio, pedodontics, orthodontics, endodontics, implants and complicated oral surgery are referred out. Patient inquiries and needs indicate that in-house endodontic and implant services would be welcome additions. This price reduction will provide the incentive to any new owner, who sees this value as an opportunity, to invest in new equipment or undertake light remodeling which suits them, and still have an affordable payment. We believe this represents an unprecedented value. Moderate fee schedule with room for a fee increase. (3) op computerized G.P. and a duplex building for sale. (2) ops are equipped with 1½ year old equipment, the 3rd op is plumbed not equipped. The office is located on a very busy city street with excellent exposure/visibility and signage. Patient base is Cash/Ins/PPO and some Regional Center reimbursements. No HMO’s and No Denti-Cal! Annual Gross Collections are in the $450K-$470K range with 35 years of goodwill. Approx 25 new patients per month. The building is approx 2,000 sq ft. and has a large rear lot for parking. 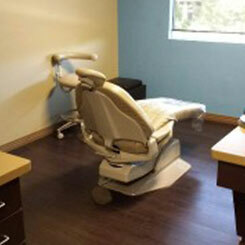 The dental office is 1,200 sq ft and the other unit is 800 sq ft. 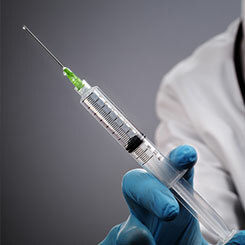 It is presently being used for a medical application. 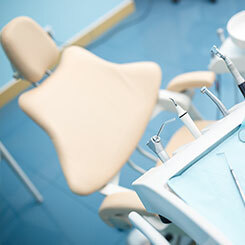 The dental office could be easily expanded into 5-7 ops. Seller is retiring, but would assist with a smooth transition, and would possibly work back part time. (3) op computerized G.P. located in a strip center with excellent exposure, visibility, and signage. Has recently been remodeled and has one year old equipment. Annual collections in the $400K-$500K range. Cash/Ins/PPO/Denti-Cal patient base. Seller has bought another closer to home. (3) op computerized G.P. for sale located in the fast growing west side of town. Shopping center location with excellent exposure/ visibility/ signage/ traffic and parking. (2) ops fully equipped with a third op plumbed. Annual Gross collections $300K+/year on a relaxed 3-3½ day week. Private fee for service, cash and insurance only! No PPO’s, no HMO’s and no Denti-Cal! Refers some Pedo, most Endo, O.S. Perio and all Ortho. Could double practice by keeping referrals in house. 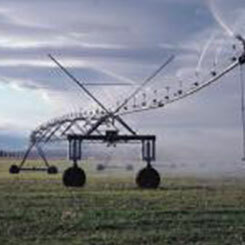 Sale includes all Account Receivables for immediate buyer cash flow. Seller to take govt. position and office is priced right to sell now. (5) op computerized G.P. (4) ops equipped 5th op has a chair and x-ray. Located in a very busy shopping center with a large chain grocery store and a large chain variety store. Excellent exposure, visibility and signage. Newer equipment. Cash/Ins/PPO/Denti-Cal patient base. Annual Gross Collections $400K-$500K. (2) op computerized G.P. located in a small professional bldg. No competition!! only DDS around for miles and miles. Cash/Ins/PPO patient base. Gross collections in the $200K-$220K range on (2) days per week. Could add more days and increase production/collections. Stable experienced staff in place. Seller retiring. This would make a great place to startup/semi-retire or expand. (6) op computerized G.P. 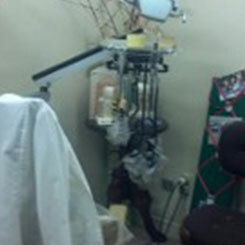 (4) fully equipped ops, 5th op has a chair and a pass thru x-ray, 6th op is plumbed. Located in a strip center at a major intersection, with excellent exposure/visibility/and signage. Seller to keep and move his private patients. 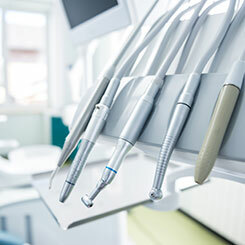 Sale includes all equipment, instruments, furniture, fixtures, leaseholds, rights to lease, dental supplies, Denti-Cal Patients, HMO patients, and Walk-in patients. This group of patients generated 2004 Gross Collections of $204,000 when blended with Seller's private patients on a (4) day per week schedule. Buyer can generate significantly more annual gross collections with: (1) filling in private patient schedule slots, (2) opening on Friday and Saturdays and/or a weeknight or two and (3) with some advertising. 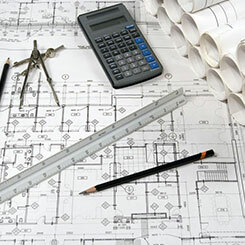 Seller and/or staff can work with Buyer till new office is built out to help with transition. Excellent opportunity for first time Buyer or for a satellite office. (12) op G.P. located in a freestanding building. Excellent exposure/visibility and signage. Cash/Ins/PPO/Denti-Cal and Cap patient base. Cap Check $10K+/mos. Annual Gross Collections $1.2M. Many walk-ins. Absentee Owner possibilities! (4) op G.P. located in a store front location. Some exposure and visibility. (2) ops equipped, 3rd partially equipped. Gross collections $150K-$200K part time. Can do much more full time. Mixed patient base. Seller moving out of state. Priced to sell! 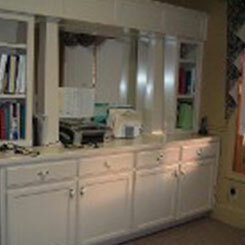 2,158 sq ft fully built out dental office condo with some equipment. This one has it all! An absentee owner run, true money maker! (11) Fully equipped ops, paperless office, Dentrix S/W, digital x-rays, Pano equipped G.P. with (1) full day per week of Ortho. Cash/Ins./Denti-Cal/Cap patient base. Gross collections $1.2M+! Cap checks $12K+ per month. Building also for sale. Here's a chance to own your own profitable practice and building. (3) op G.P. and single use free standing building for sale. Annual Gross Collections $600K+. Cash/Ins/Capitation/PPO Patient Base. Capitation Check of $14K+/mos. Seller retiring, but will help with transition. 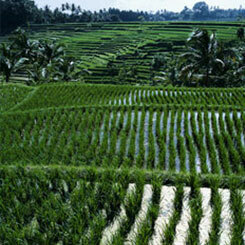 (2) op part time general practice in (4) seasons location in So. East Kern County. Gross collections $150K+ but can do much more with more chair time. Limited competition in smaller town. Low overhead with high % net income. • Patient Base: Cash/Ins/PPO/HMO. Cap Check approx. $6K/mos. • HIGH END BUILDOUT, WITH (4) OPS OF NEWER EQT. 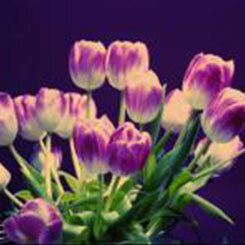 (5) OP G.P. (4) OPS EQUIPPED, (1) ADDITIONAL PLUMBED. LOCATED IN A SMALL, ONE STORY PROFESSIONAL BLDG. ON A MAIN THOROUGHFARE WITH EXCELLENT EXPOSURE, VISIBILITY, SIGNAGE AND PARKING. ANNUAL GROSS COLLECTIONS ~ $500K ON AN EASY (4) DAY WEEK. CASH/INS/PPO PATIENT BASE WITH NO HMO AND NO DENTI-CAL. 57+ YEARS OF GOODWILL. (6-8) NEW PATIENTS/MOS. SELLER REFERS OUT IMPLANT PLACEMENT, ALL O.S., ALL ENDO, ALL PERIO SURGERY, ALL ORTHO AND ALL PEDO, HAS NO WEBSITE AND DOES NO ADVERTISING. EXCELLENT GROWTH OPPORTUNITY. PRACTICE WILL SKYROCKET WITH MORE HOURS, A WEBSITE, SOME ADVERTISING AND KEEPING THE SPECIALTY WORK IN HOUSE. SELLER IS RETIRING, BUT WILL ASSIST WITH THE TRANSITION. Free standing single use professional building for sale with existing dental practice to be sold concurrently. Owner has operated the practice at this location for over 40 years, Cash/PPO Patient Base with no HMOs and No Denti-Cal. (4) ops equipped. Annual Reported Gross Collections approx. $200K part-time. Refers out Diff Endo, Diff O.S., Perio Surgery, and Ortho. 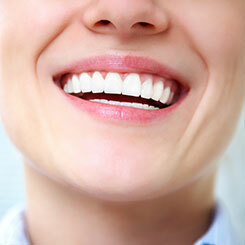 Seller does no implant placement nor any implant restorations. Seller has no website, and does no advertising. Primed for growth with an owner who keeps the specialties in house, does some advertising, has a website, and is open more. Located just off of Whittier Blvd in high traffic count area. Close to major freeways, residential neighborhoods, and shopping centers. (4) ops fully equipped, (2) with X-Rays, Fee for Service G.P. in a high end professional building on a major thoroughfare. Computer Age s/w, digital x-rays, electric hand pieces, and approx. (12) year old equipment. (3) year Weighted Average Gross Collections $500K on a (4) day week. No HMO, No Denti-Cal, No Nights and No Weekends. (50)+ years of Goodwill. Seller retiring, but is willing to help Transition. ORTHO/PEDO PRACTICE LOCATED IN A FREE STANDING DUPLEX BUILDING ON A MAIN THOROUGHFARE, WITH EXCELLENT EXPOSURE AND VISIBILITY. (60) YEARS OF GOODWILL. CASH/INS/PPO PATIENT BASE. NO DENTI-CAL, NO HMO’S, NO NIGHTS, AND NO WEEKENDS. 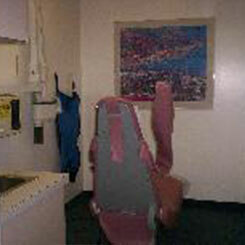 (3) CHAIR OPEN BAY, (1) OP QUIET ROOM AND (1) X-RAY ROOM. PANO EQUIPPED. AVERAGE ANNUAL GROSS COLLECTIONS $479K+ ON A (4) DAY WEEK WITH AVERAGE ANNUAL NET OF $154K+. AVERAGING (5) ORTHO NEW STARTS PER MONTH, AND INCLUDES APPROXIMATELY $272K OF ORTHO CONTRACTS RECEIVABLES. GROWTH POTENTIAL. SELLER DOES NO ADVERTISING OTHER THAN WEBSITE, AND REFERS OUT SURGICAL ORTHO CASES. SELLER IS RETIRING, BUT IS WILLING TO TRANSITION. ANTELOPE VALLEY # 5 - (3) op computerized G.P. in a two story professional building with easy freeway access. (30+) years of Goodwill. Average annual Gross Collections of $550K. (4½) days of hygiene. Cash/Ins/PPO. Brand new digital x-ray system with (2) Suni sensors. Seller refers out all Endo, Ortho, Perio, Diff O.S. & Implant place. & does no advertising. Primed for growth. Seller retiring. (4) op computerized G.P. (3) ops eqt'd (4th) op has a chair and a new x-ray unit. Located in a well known, easily accessible professional building on a main thoroughfare. Cash/Ins/PPO patient base. No HMO and No Denti-Cal. (50+) years of Goodwill. Annual Gross Collections of $300K+ on a (3) day week. (5) - (7) new patients per month. Seller does no advertising and refers out Perio surgery, Ortho, difficult O.S. and Endo. Excellent Growth potential. (3) op comput G.P., located in a Free Standing Bldg., on a main thoroughfare with excellent exposure, visibility and signage. Cash/Ins/PPO/HMO/Denti-Cal. (65+) years of Goodwill. Seller working part time. Annual Gross approx. $200K. Seller referring out all endo, most perio, and all implant placement, and does no advertising. Seller retiring. Great Starter Practice or Satellite Office. PRICED TO SELL ! (3) op computerized G.P. located in a professional building on a main thoroughfare. (38)+ years of Goodwill. Patient base is Fee for Service only, with no PPO’s, no HMO’s and no Denti-cal. 2017 Gross Collections $332K+ on a (3) day week. Seller averages 8-9 new pts per mos. Digital x-rays (with XDR) and Dentrix s/w. Seller refers out all Endo, all Perio, all O.S. all Ortho, all Pedo and all implant placement. Seller is retiring, but will assist with the transition. (4) OP COMPUTERIZED G.P. /(3) OPS EQT'D. IN A WELL-KNOWN PROF. BLDG. ON A MAJOR THOROUGHFARE. REPORTED GROSS COLLECT APPROX. $200K/YR. P.T. CASH/INS/PPO. SELLER RETIRING. GREAT STARTER OR SATELLITE. LOW OVERHEAD. (4) Op Computerized G.P. Located on a Main Thoroughfare in a Professional Bldg. 2017 Gross Collections $412K+ on (3) DDS Days & (2) Hygiene Days/Week. Patient Base is Cash & Indemnity Insurance Only. No PPO, No HMO and No Denti-Cal. Seller Refers Out Ortho, most Endo, Diff Pedo & Implant Placement & Does No Advertising. Practice is Poised for Growth. (65+) Years of Goodwill. Seller Retiring but Will Assist with Transition. VAN NUYS –Fully equipped & furnished (5) op computerized G.P. (4) ops equipped/(5th) plumbed. Located in a store front, street level @ a hard corner. Excellent exposure /visibility & signage. Many walk ins. Located @ a major bus stop in a heavy Hispanic area. Digital x-rays & low rent. Sale includes approx 2,500 G.P. mostly Denti-Cal charts. Charts included, but not guaranteed. MULTI-SPECIALITY COMPUTERIZED DENTAL PRACTICE. LOCATED IN A SHOPPING CENTER WITH GREAT EXPOSURE/ VISIBILITY/ SIGNAGE AND FREE PARKING. 2017 GROSS COLLECTIONS $1,427K+ CASH/ INS/ PPO/ HMO PATIENT BASE. $81K+ CAP CHECKS IN 2017. PRICED TO SELL! MULTI-SPECIALITY COMPUTERIZED DENTAL PRACTICE. LOCATED IN A SHOPPING CENTER WITH GREAT EXPOSURE/ VISIBILITY/ SIGNAGE AND FREE PARKING. 2017 GROSS COLLECTIONS $916K+ CASH/ INS/ PPO/ HMO PATIENT BASE. $75K+ IN CAP CHECKS IN 2017. PRICED TO SELL! DOWNEY MULTI-SPECIALITY PRACTICE - (15) OP COMPUTERIZED MULTI-SPECIALITY DENTAL PRACTICE. LOCATED IN A SHOPPING CENTER WITH GREAT EXPOSURE/ VISIBILITY/ SIGNAGE AND FREE PARKING. 2017 GROSS COLLECTIONS $1,169K+ CASH/ INS/ PPO/ HMO PATIENT BASE. $90K+/YEAR IN CAP CHECKS. PRICED TO SELL! 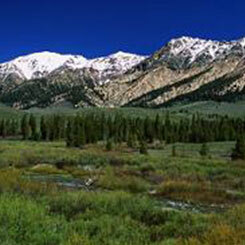 Located in an Exclusive Area of the Valley. (5) op computerized G.P. with high end buildout & decor. Digital x-rays, CT Scan, Laser, Dentrix s/w & (2 to 5) year old equipment. 2016 Gross Collections of $1.012MM. Cash/PPO and Small Amount of HMO. Reasonable overhead with high net! Practice & Building for sale. (6) op computerized G.P. & 4,192 sq ft duplex free standing building. Located on a main thoroughfare with exposure/visibility & signage. (30+) years of Goodwill. Cash/Ins/PPO patient base. No HMOs and no Denti-Cal. Annual Gross Collections between $1.05MM & $1.13MM and did no advertising. Equipped with digital x-rays, two lasers, two wands, and Eagle Soft s/w. Refers out all Endo except single canal, all Perio Surgery, all Oral Surgery, all Ortho and all Implant Placement. Seller works a (3) day week with two associates each working (2) days/week. There are (6+) Hygiene days/week. Seller is retiring, but is willing to stay on part time. (5) op computerized G.P. located in a high rise professional building on a main thoroughfare. (4) ops equipped with (1) additional plumbed non equipped op. Cash/Ins/PPO patient base with no HMO and no Denti-Cal. Gross Annual Collections of approx. $270K on a part time schedule. (2) days of Hygiene. Seller refers out: most Endo, Perio, Implant placement, Ortho and major O.S. Digital x-rays with Schick sensor. 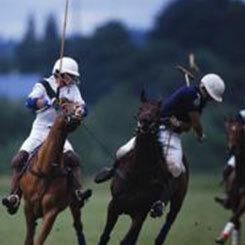 Practice is also equipped with a Waterlase MD Laser. Excellent Lease in place with cooperative Landlord. Seller retiring but willing to assist in the transition. 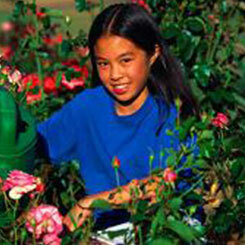 ORTHODONTIC PRACTICE WITH (2) LOCATIONS – (#1) in SFV & (#2) IN EAST VENTURA COUNTY. Collections approx. $700K/yr. Cash/Ins/PPO. (14-15) new starts/mos. 45+yrs of Goodwill. 500+ Active pts & 550+ in retainers. ENCINO #6 - EMERGENCY SALE! EMERGENCY SALE! (3) op comput G.P. & implant pract. in a centrally located high rise prof. bldg. on a main thoroughfare with excell fwy. access. Pt base is Cash/Ins & one PPO. Digital x-rays (Shick). 2016 Gross Collections of $205K+. Seller is very ill and pract. is priced to sell immediately. Recently remodeled, (4) op comput. G.P. on the very desirable West side. (3) ops eqt’d, 4th plmbd. Located in a strip center with excellent exposure, visibility, & signage. (27) years of Goodwill. Mixed patient base. Annual Gross Collect $250K+ on a p.t. schedule. T Docs s/w & two new Belmont ops. Growth potential. Seller refers out most specialty work & does no advertising. Seller is retiring. (4) op comput G.P. in a smaller prof. bldg. on a main thoroughfare. Annual Gross Collect $425K+. Cash/Ins/PPO. Easy Dental s/w & Pano equipped. Digital x-rays. Does no advertising & has no website. 40+ years of Goodwill. Lower overhead with an excellent Lease in place. Seller retiring but will assist with Transition. (6) op computerized G.P. in a centrally located, retail store front, in a free standing building. On a main thoroughfare, with excellent exposure, visibility, and signage, and ample free parking in the rear. (5) ops equipped with modern Belmont equipment, 6th op plumbed. Approx. 2,300 sq. ft. Practice has Dentrix s/w. The office is presently only taking Kids Denti-Cal and cash, and is working part time (Seller’s choice) and is collecting $500K/yr. on a three day week. Was collecting $900K+/year when open full time and taking adults and kids. Seller is burnt out running a Business, but will assist with a smooth transition, and will even stay and work p.t. doing kids dentistry, so long as Buyer does the management and sees the adults. This is a GREAT OPPORTUNITY ! (4) ops/(3) fully equipped, computerized G.P. Located in a store front on a main thoroughfare with exposure and visibility. Cash/Ins and some PPOs. No HMOs and No Denti-Cal! 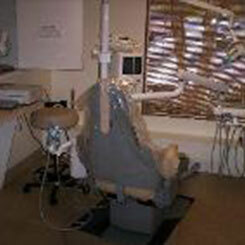 Newer equipment, Digital x-rays (XDR), Central Nitrous, and Easy Dental Software. Low overhead office. 2015 Gross Collections of $415K on a 3.5 day week. 30+ years of Goodwill. Seller retiring, but would work back a little to help Buyer transition/retain goodwill and patient base. (3) op computerized G.P. (2) ops equipped, 3rd op plumbed. The Practice has a great location in a strip center, on a main thoroughfare, with excellent exposure, visibility & parking. Cash/Ins/PPO patient base with no HMO, no Denti-Cal, no nights & no weekends. Very low overhead. Seller refers out Implant Placement, O.S., some Endo, Perio Surgery & Ortho, & does no advertising. Priced at well below buildout & equipment costs. This is a great starter Practice or satellite location. Seller is retiring, but is willing to help transition. ALL THE TOYS AND WHISTLES: ELECTRIC HAND PIECES, SOPROCARE INTRAORAL CAMERA SYSTEM, VELSCOPE CANCER SCREENING SYSTEM, AIR ABRASION, ELECTRIC ENDO ENGINE, THE WAND DELIVERY SYSTEM, SOFT TISSUE LASER, SOLARIS STERILIZATION CENTER, ETC ETC ! (3) op computerized G.P. located on a main thoroughfare in a professional building. Super clean well maintained office. Fee for Service patients. Annual Gross Collections of $160K+ on a (3) day week. Seller refers out all Endo, Perio Surgery and O.S. 40+ years of Goodwill. Dentrix s/w. Seller retiring but will help with Transition. Great first time practice, p.t. practice, buy and combine practice or satellite office. (5) op computerized G.P. 4 ops equipped. 5th op plumbed. Located in a strip center on a main thoroughfare. Excellent exposure, visibility, and signage. Digital x-rays (Dexis) and Dentrix s/w. Cash/Ins/PPO patient base. 2014 Gross Collections projected at $250K+ on a (4) day week. Located in a heavy Denti-Cal area. Did significant Denti-Cal in the past, but currently does not take it. Add it back to double or triple collections. Seller retiring but will assist with the transition. WEST SAN FERNANDO VALLEY G.P. (4) op comput G.P. for sale. Located in a well known, easily accessible prof. bldg. on a main thoroughfare. Excell. signage. Annual Gross Collect $750K+ on a (4) day week. Modern eqt., Dentrix s/w and Dexis digital x-rays. Also has a pano and an endo microscope. Cash/Ins/PPO pts. (10+) new pts/mos. (5) op computerized G.P. (4) ops eqt'd, (5th) op plumbed. Located in a free standing single use building on a main thoroughfare with excellent exposure, visibility and parking. 50+ years of Goodwill. 2013 Gross Collections $425K+ on a (4) day week. Seller does no advertising. Cash/Ins/PPO pt base. No HMO and no Denti-Cal. Seller retiring. (4) op computerized G.P. located in a professional building with ample free parking. 2013 Gross Collections $508K+ on a (4) day week. Seller does no advertising. Averaging (8) new patients per month. Cash/Ins/PPO patient base. No HMO and no Denti-Cal. Digital x-rays. Dentrix and Dexis s/w. Nice equipment. 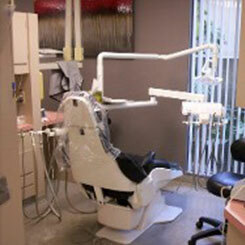 Upscale, (4) op turnkey dental office for sale or available on a long term lease. Just built out and equipped with brand new equipment. 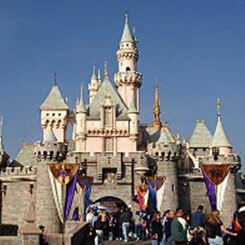 Located in a new shopping center on a main thoroughfare in the Carthay Square area of Los Angeles. Excellent exposure, visibility, signage and parking. Shopping center is health care centered. Built in referral base from existing tenants who include: an acupuncturist, a chiropractor, a zumba studio, a nail salon, a hair salon, yoga, martial arts, a lashes & skin care center, a massage parlor, and a pilates studio. 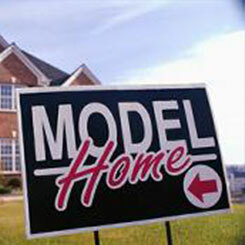 DDS office has dental exclusive in the center, and is located next door to a major Modeling Agency/Fashion Academy. All the preliminary work is done. Just bring your instruments and supplies, and build your upscale practice! (4) op computerized G.P. located in a well know, easily accessible, recently remodeled professional building on a main thoroughfare. Magnificent panoramic Valley views from (3) ops. Cash/Ins/PPO patient base. Annual Gross Collections $600K on a (4) day week. Digital X-Rays and Laser equipped. 23+ years of Goodwill. Refers out all Endo. Seller moving out of state, but will assist with the Transition. Beautiful state of the art (9) op computerized G.P. located in a shopping center on a main thoroughfare. The office is highly visible, has easy access, has excellent exposure and great signage. There are (6) ops with like new equipment and (3) additional plumbed non equipped ops. 2013 Projected Gross Collections of $370K on 3.5 days/wk. Cash/Ins/PPO/HMO patient base. Monthly Cap Check approx. $2K. 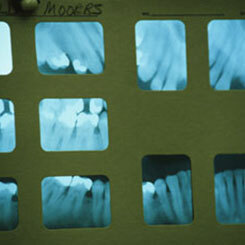 Dentrix software, digital x-rays, and paperless. 2,400 sq ft. Averaging (19) new patients/mos. 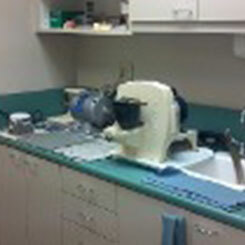 (3) op complete Turnkey dental office for sale. Absolutely Gorgeous! Located on the outer perimeter of a professional building with excellent exposure, visibility & signage. Newer equipment & digital x-rays. Includes supplies, instruments, furniture, computers, dental software, dental and office equipment & rights to the office lease. (3) op computerized G.P. located in a professional building, at a major intersection, on a main thoroughfare. Cash/Ins/PPO patient base with no HMO"s and no Denti-Cal. (38) years of Goodwill. Excellent exposure and visibility. Newer equipment, excellent off street parking, and pole signage. Averaging (10) new patients per month with no advertising. There is 4.5 days/week of Hygiene. 2012 Projected Gross Collections of $525K+. Seller refers out most Endo and Perio, some O.S. (wisdoms), Pedo and Ortho. Seller retiring. (2) op part time G.P. located in a strip center with exposure and visibility. Gross Collections $140K p.t. Cash/Ins/PPO patient base. Low overhead office with high % net income. Seller retiring. (3) op computerized G.P. located in a well known, easily accessible, professional building with ample parking. Office is equipped with some newer Belmont equipment, Dentrix s/w and digital x-rays. The patient base is Cash, Insurance, and PPO with no HMO’s or Denti-Cal. The office has been newly remodeled. Annual Gross Collections are approx $150K on a part time schedule. The office refers out some Endo, all Perio Surgery, and Diff O.S. This is a Low Overhead Office and is poised for Growth Excellent starter or 2nd office. Seller is motivated and has priced the practice to sell! (3) op G.P. located in a highly visible store front, on a main boulevard, in the trendy Silverlake - Atwater area of Los Angeles. Cash/Ins/PPO patient base. Annual Gross Collections $140K - $150K part time. (28) years of Goodwill. Seller owns building, and will grant first right to purchase in lease. Seller is retiring but will assist in the transition. (3) op computerized G.P. with (52) years of Goodwill. Cash/Ins/PPO patient base. 2010 Gross Collections $242K+. Projected 2011 Gross Collections $242K+ on an easy (3) day week. Located in a small professional dental/medical building on a main street. Free off street parking at rear of building. Low rent. Seller retiring, but will assist with transition. (3) op computerized G.P. located in a well known, easily accessible professional building with ample free parking. Cash/Ins/PPO patient base. 2010 Gross Collect ~ $325K+ on a part time schedule. Digital x-rays & Dentrix s/w. Newer leaseholds and some newer equipment. Seller retiring but will transition. (4) op computerized G.P. located in a smaller professional building on a heavily traveled main blvd. Building is easily accessible & has ample free parking in rear of building. Cash/Ins/PPO patient base. (17) years of Goodwill. 2010 Gross Collections approx. $440K. Digital x-rays. (2) intra oral cameras. Selling due to health. (2) op G.P. located on the street front side of a small one story medical/dental building. Some exposure and signage. Mostly cash patients with some Insurance and PPO. 2009 Collections of approx $140K on a very limited schedule due to seller's health. Seller quotes 600 active patients. Seller is retiring, but will assist in the transition. (4) op computerized G.P. located in a free standing bldg. on a major boulevard Cash/Ins/PPO patient base. Annual Gross Collections $475K+ on a 3½ day/week. Seller is a 1-800 DENTIST Provider. Seller retiring but will assist in transition. (5) op comput. G.P. located in a shop. ctr. w excellent exposure/visibility & signage. Great parking! Limited competition! Annual Gross Collections in the range of $800K+ to $975K+. Cash/Ins/PPO/HMO & very small amount of Denti-Cal. Mos Cap checks $5K+. Seller retiring. Well maintained (4) op computerized G.P. (3) ops equipped with newer equipment/ 4th op plumbed not equipped. Digital x-ray, eye illumination system & central nitrous equipped. Cash/Ins/PPO and Smile Saver patient base. 47 years of Goodwill. Refers out endo, perio, pedo, ortho and O.S. 2009 Gross Collections $200K+ part time. Seller retiring but will assist with Transition. (4) op computerized G.P. (3) ops equipped 4th op plumbed not equipped. Located on the first floor, on the outer perimeter of a professional building. Excellent exposure, visibility and signage. Office is drop dead gorgeous with marble floors, travertine counter tops, vaulted ceilings, and many designer touches. (3) ops of newer equipment. The office is computer networked (dentrix s/w) and has digital x-rays. Cash/Ins/PPO patient base. 2009 Gross Collections ~ $600K+. Seller going into the military. HERE’S THE ONE YOU’VE BEEN WAITING FOR!! (11) op computerized G.P. office. (10) ops equipped 11th op plumbed not equipped. In a well known, easily accessible professional building with Great Signage! Patient Base consists of Cash/Ins/PPO/HMO and small amount of Denti-Cal. Bread and Butter Practice with Annual Gross Collections of $1.6M+. Capitation Checks of $13K-$15K/mos plus supplementals. Lower overhead office with excellent annual net income. Refers out Difficult O.S., Endo, Perio and Ortho. 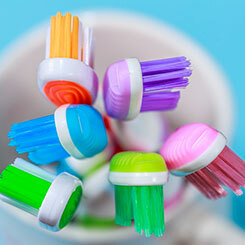 Practice can be easily grown to $2.5M+ annually by adding more hygiene, specialists, and advertising. Seller is retiring but will stay on for transition. Located in a highly desirable area of the San Fernando Valley, this (3) op computerized G.P. is in a strip center on a main blvd. with excellent exposure, visibility and signage. 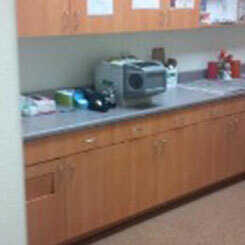 The office has new equipment, digital x-rays and intra oral camera, and Dentrix software. Patient base is Cash/Ins/PPO only. No HMO’s and no Denti-Cal. Office is a 1-800 Dentist provider. 2009 Gross Collections of ~ $575K. Seller is moving and taking an academic position, but will transition. (4) op computerized G.P. located in a well known, easily accessible medical dental building. The building is located on a main blvd. with ample free parking. The patient base is Cash/Ins/PPO with no HMO’s and no Denti-Cal. Annual Gross Collections are $315K+ on a (4) day week. 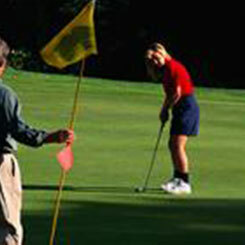 The practice does no advertising, and is primed for growth with a new owner. A Real Money Maker!! (3) op computerized G.P. (has two private offices so a 4th op can be easily added). Located in a retail center with excellent exposure, visibility, signage and foot traffic. 2008 gross collections $551K on a (2) day week. Seller's Gross Collected in 2006 was $960Kprior to her pregnancy. Cash/Ins/PPO patient base with small amount of HMO. Low overhead/high net office. This office can do a $ Million with some promotion and working full time. (3) op computerized G.P. Strip center location with exposure, visibility and signage. Cash/Ins/PPO//HMO/Denti-Cal patient base. Approx (50) new patients per mos. Cap check approx $6K/mos. 2007 gross collections projected at $300K+. Sale includes account receivables for immediate cash flow. Can be an absentee owner opportunity or will generate higher margins as an owner/operator. 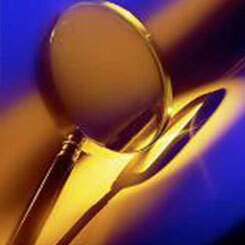 Seller is very motivated and has discounted the sale price significantly for an immediate sale. Hurry! Won’t last at this Price. (3) op computerized G.P. located in a medical/dental bldg. Only DDS in bldg with lots of referrals from the medical doctors and Rx in the bldg. Cash/Ins/PPO/HMO patient base. $3K-$4K/mos in Cap checks. Annual gross collections of $250K-$300K on 2-3 days per week. Very low overhead/high net office. Digital x-rays. Refers out most O.S. and Endo, some Perio and all Ortho. Office presently does no advertising and does not see Denti-Cal patients and could be easily expandable with both. Seller has a second office and wishes to slow down due to medical issues. (8) op computerized G.P. & 3,606 sq ft free standing building for sale. Located on a main boulevard with excellent exposure/visibility and signage. Annual gross collections $750,000 while being operated with associates. Would do much more with owner/operator(s). Cash/Ins/PPO/Denti-Cal and a small amount of Capitation. The building was built in 1978 and is located on an 18,378 sq ft lot which would lend itself to expansion, development or just holding it as a long term investment. Building has 25+ years of dental goodwill and is ready for a new more aggressive owner/operator. A Dentists dream! Highly desirable (5) op computerized General Practice and 1,394 sq ft free standing building for sale. Located on a main street with exposure and visibility. (3) ops of new equipment and (2) ops of older eqt. New compressor, vacuum and stackable washer and dryer. 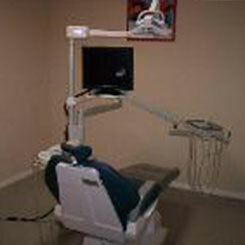 Office is also equipped with an intra oral camera system, sapphire light, digital x-rays, and Panorex. Cash/Ins/PPO/HMO patient base. CAP check of $2,000+/mos plus supplementals (Office has been offered more and has declined at this time). 50+ years of Goodwill! Annual Gross Collections $300K+ on 2-3 days per week. 2007 numbers are less due to illness. The building has a new air conditioning unit, alarm system and smoke detector system, and is well maintained. Seller is ill and highly motivated! Fulfill your dream of owning your own Practice and Building now!! Won’t last at this price!! Price of Building - $ 499,000 o.b.o. Price of Practice - $ 200,000 o.b.o. (3) op computerized G.P. (2) ops eqt’d with new eqt. 3rd op not eqt’d. Located on a main blvd. with excellent exposure/visibility and signage. Digital X-Rays & Intra Oral Camera. Easy Dental S/W. Everything is new. Opened (6) mos and already has (85) cash and insurance patients. Excellent location! Seller has had a change of plans and is moving out of state. "EMERGENCY SALE" (3) op computerized G.P. for sale. Located in a one story medical/dental bldg. on a heavily traveled, well know main blvd. Cash/Ins/PPO/Denti-Cal patient base. Average annual gross collections $250K/yr. Seller is ill and highly motivated! 1,500 sq ft free standing building and a General Practice for sale. (7) plumbed ops. (4) ops equipped with newly refurbished equipment, a 5th has a chair and an x-ray, a sixth has a chair, and the seventh is plumbed not equipped. 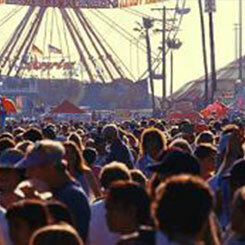 Located on a main street with excellent exposure, visibility, signage and parking. 40+ years of Goodwill, of which 34 years are at present location. Annual Gross Collections have been $300K+ year in and year out. A little lower recently. Low overhead/high net income. Mostly Cash/Ins/PPO with about 10% Denti-Cal. No HMO’S! Long term staff knows about sale and is anxious to stay and help new owner. Seller retiring but will help with transition. (3) op computerized General Practice located in a shopping center with exposure/visibility/signage. Cash/Ins/PPO patient base. No HMO's or Denti-Cal! 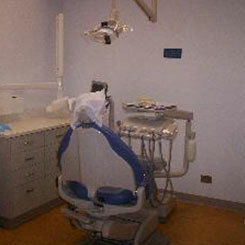 Office is panorex equipped and has an intra-oral camera system with docking stations. 2004 gross collections $578K+ on (4) day week. Seller retiring, but will help with transition. Much sought after area!! (4) op computerized G.P. (3) ops equipped 4th plumbed not equipped. Located in a well known and strategically located professional building. Practice is located on the building's outer perimeter. Has exposure and visibility. Newer (5 year old) well maintained equipment and buildout. Professionally decorated and appointed. 2004 Gross Collections $450K+. 2005 Gross Collections projected at $485K+. Cash/Ins patient base with small amount of PPO. Seller changing careers, but will help transition. Will sell quickly; so do not hesitate! 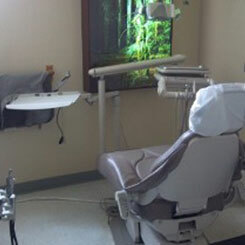 1,700+ sq ft single use dental building for sale. (4) op open bay ortho area plus (2) built out ops with pass thru. Pano room, seperate x-ray consultation room, private office, (2) rest rooms, reception area, business area, and break room (or oral surgery recovery area). 20+ parking places. Excellent exposure/visibility/signage. Across the street from Citrus Valley Medical Center. (4) op G.P. (3) ops equipped 4th plumbed not equipped. Signage and visibility. Cash/Ins/Capitation patient base. Office use to take Denti-Cal and could be added back. Gross collections $120K/yr on 1 to 1.5 days per week. Could do much more with added days, advertising, and adding back Denti-Cal. (5) op G.P. for sale. On main street with visibility/exposure/signage. Like new equipment. Cash/Ins/PPO/Capitation patient base. Monthly Capitation check $8K+. Annual Gross Collections $550K+. Seller bought another in a different city, and wishes to concentrate on it. Hurry, won't last! (3) op G.P. (2) ops equipped one plumbed not equipped. Nicely decorated and built out office Average annual gross collections $180K part time. Can do more full time. Cash/Ins/PPO/Denti-Cal patient base. Sales price less than buildout and equipment costs. Hurry!! Nicely equipped (3) op General Practice located in well know profesional building just off the freeway. 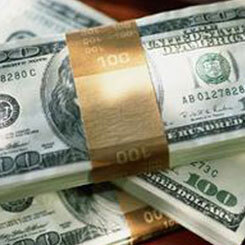 Gross collections $20-25K per month on (3) days per week. Computerized office. Seller purchased Fall 2004, but is selling due to admittance to Speciality Program. Presently does no Denti-Cal but previous Owner did see Denti-Cal Patients and could be easily added back to increase production/collection numbers. (6) op G.P. (4) ops equipped (2) plumbed not equipped. Located in high visibility store front location with excellent signage and exposure. Heavy foot and vehicle traffic in close proximity to college. Average annual gross collections $369K+. 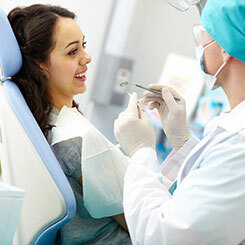 Cash/ Ins/ PPO/ Capitation/ Denti-Cal patient base with monthly capitation check $10,000/mos. Approx. 50-60 new patients per month. Hurry won't last!! Emergency Sale! Seller has passed away and family is seeking an immediate sale. Great Starter Practice or second office. (4) op G.P. for sale. Cash/Ins/PPO Patients. No HMO or Denti-Cal. 2004 Gross Collections $106K+ part time (approx. (16) chair hours per week). Office referred out all oral, endo, perio, pedo and ortho. Sales price less than build out and equipment costs. Office Manager estimates 250+ active charts. Long term staff. Office Manager and Chair side have both been with practice 17 years, and are willing to stay and work with Buyer. Call immediately! Bldg. and (4) op G.P for sale. Located on main street with visibility. Gross collections in 2003 were $839K prior to Seller's illness. Potential to take it to $1M! Account Receivables included in sale to help Buyer with cash flow. Cash/Ins/Capitation/Denti-Cal Patient Base. Here's your chance to own a building and a million dollar practice! (5) op G.P. on main street with excellent exposure and visibility. Working class Hispanic neighborhood. (2) ops equipped, (1) semi-equipped op and two plumbed non equipped ops. Mixed patient base. 2004 Gross collections $215K+ on part-time schedule due to birth of baby. Collections prior to pregnancy were $332K+ on (4) day week. Very low % overhead/high % net income. (5) op computerized G.P. for sale. Located in a professional building on a major Blvd. Cash/Ins/PPO patient base. 2005 Gross Collections $860K. Averaging (47) new patients per month. Office is a provider for 1-800 DENTIST. Seller owns the professional building and will grant Buyer "The Right of First Refusal" to purchase the building. 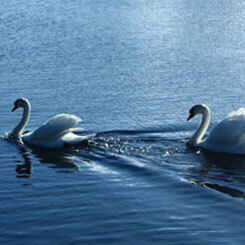 Seller is retiring but will provide Buyer with a smooth transition. WOW! 1,755 sq ft single use freestanding Dental Building for sale. New roof and paint. Near center of town. (5) plumbed ops. Busy Hispanic area. No patient charts or equipment are included in the sale. This one will sell quickly so........... HURRY! (4) op computerized G.P. (3) ops equipped 4th op plumbed not equipped. Located in a two story medical/dental building on a major Blvd. Ins/Cash/PPO/HMO/Denti-Cal patient base. Monthly CAP checks $5K+. Approx. (40) new patients per month. 2005 Gross collections $368K+. (5) op computerized G.P. with some TMJ. Gross collections $500K-$600K per year on (4) day week. Located in a class 'A' professional bldg. with plenty of natural light and great views out op windows. Newer equipment. Nicely appointed. Seller retiring, but will train Buyer in TMJ methods. (7) op computerized G.P. Like new equipment. Cash/INS/PPO patient base. 2004 Gross Collections $590K+ on (3) day week. Located on the first floor of a Class 'A' high rise professional building. Fluency in Korean helpful. Seller moving. (6) op computerized G.P. (5) ops eqt’d/6th plumbed. Located in a one story free standing professional building with some exposure/visibility and signage. Cash/Ins/PPO and HMO patient base. NO DENTI-CAL! Cap checks $2K+/mos. Annual gross collections on three days per week are $425K+ and growing. Seller to concentrate on his other office but will help with a smooth transition. (6) op computerized G.P./(4) ops equipped, (2) additional plumbed ops, plus a large additional room that could accommodate a (4) bay Ortho area or (2) large surgery rooms. Perfect for a Specialty Practice or a large Clinic. The recently remodeled bldg. is free standing , & is located at an intersection on a main thoroughfare. it is 2,232 sq. ft., & has excellent exposure/visibility/signage & off street parking. There is (28+) years of Goodwill. Patient base is Cash/Ins/PPO/Denti-Cal. Annual Gross Collections of $282K+ on a relaxed schedule. Seller does no advertising. 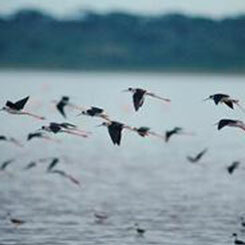 Equipped with digital x-rays with (4) sensors, & Practice Works s/w. Seller is retiring, but is willing to transition. Absentee owned (6) op fully equipped G.P. located in a smaller two story building on a main thoroughfare. First floor street frontage with exposure/visibility/signage & parking. Cash/Ins/PPO patient base with no HMO and no Denti-Cal. Computerized and Pano equipped. 2015 Gross Collections of $489K on a (3½) to (4) day week. (4) op G.P. Turnkey Office with some included charts (charts included but not guaranteed). Located in a busy shopping center with exposure/visibility/signage and excellent parking. (3) ops fully eqt'd with newer equipment, 4th op plumbed. Upscale buildout. Computerized and Digital X-Rays - Easy Dental and Dexis. Here's the opportunity you've been waiting for! A General Practice and a Building! (4) op computerized G.P. and a Free Standing Building for sale. Located on a well know, heavily traveled, major Blvd. Bldg. has exposure/Visibility and parking. Cash/Ins/PPO and some Kids Denti-Cal patient base. New equipment. Dentrix s/w and intra oral camera. Digital ready. 2010 Projected Gross Collections $240K on a 3.5 day week. Decorator sharp, high end fee for service and PPO General Practice. Located in a well known, easily accessible professional building on a major boulevard with excellent parking. 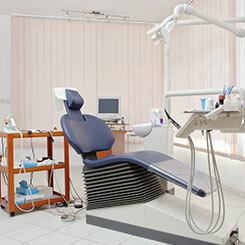 (5) op computerized office/ (2) ops fully equipped with A-Dec equipment with (3) additional plumbed ops. Digital x-rays, sapphire light, Bright Smile Provider, Central Nitrious, etc. Averaging 40-45 new patients/mos. 2007 projected Gross Collections $450K-$500K. Office is drop dead gorgeous! Seller retiring. Turnkey office with some charts (charts not guaranteed). Being sold as a Leasehold with Equipment. (4) op office (3) ops eqt'd. Located in a free standing building with exposure and visibility. Ample off street parking. (5) op computerized G.P. (4) ops fully eqt’d with (1) additional plumbed. Located in a smaller professional building in an office condo which is also available. Cash/Ins/PPO pts. No HMO and no Denti-Cal. (14+) years of Goodwill. 2014 Gross Collections of $400K+. (3.5) days of hygiene per week. 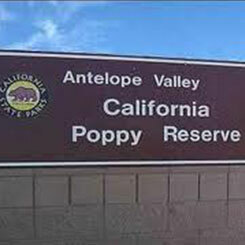 Located in one of the fastests growing areas of CA. Seller is giving up private practice for an institutional position but will assist with Transition. (4) op computerized G.P. located in a strip center with exposure, visibility, and signage. HMO based practice with some Cash/Ins and PPO patients. No Denti-Cal. $6K/mos CAP Check. 2009 Gross Collections approx. $380K on a (3) day week. 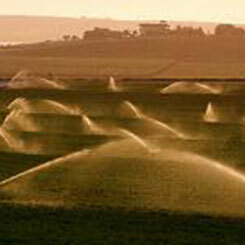 Account Receivables include with the Sale for immediate cash flow. Absentee Owner. (5) op turnkey office for sale. (3) ops eqt’d with (2) year old A-Dec eqt. Other (2) ops are plumbed not eqt'd. Digital x-rays, (6) networked computers (less the hard drives) (3) are in ops. Nicely decorated, and furnished with upscale furnishings and furniture. Sale includes furniture, fixtures, dental equipment, leaseholds and rights to the office lease. No patient charts. Seller bought a bldg. and is building out a new office. 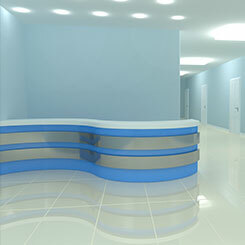 (6) op computerized General Practice located in a freestanding building. Office shares waiting room with a large medical office and an optometrist and gets many referrals from this arrangement. Cash/Ins/PPO patient base. Gross Collections $250K+ part time (half-time). Can do much much more full time. Seller is retiring but will help with the transition. (4) op computerized General Practice located in a professional building. Cash/Ins/PPO patient base. Annual Gross Collections $500K+ and growing. 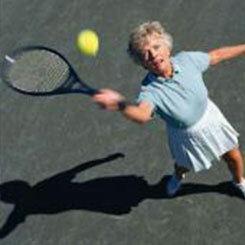 Seller to retire but will help with transition. Building also available for sale. 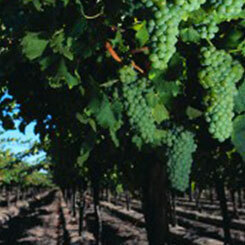 "SANTA BARBARA COUNTY WINE COUNTRY G.P. 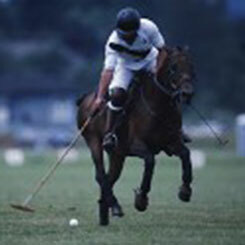 AND 1,900 SQ FT BUILDING"
Located in the serene and majestic Santa Ynez Valley, known for it’s many wineries and horse stables, this (3) op computerized G.P. & 1,900 sq ft free standing building offer a wonderful opportunity for a dentist to continue to practice dentistry in a more relaxed environment and leave the hustle and bustle of the city behind. 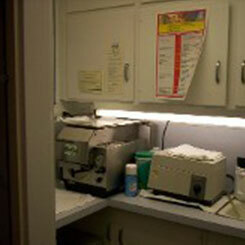 The office is equipped with modern equipment and digital x-rays, and was completely remodeled less than (5) years ago. The included building houses the dental office and a residential unit. One can live in the residential unit or continue to rent it out as vacation property and use the income to offset the mortgage. The practice is a part time practice that can easily be grown since Seller does minimal advertising and refers out all speciality work including implant placement. The practice sees only "Fee For Service" patients with no PPO, HMO or Denti-Cal. 2015 Gross Collections were $275K+ on a very relaxed part time schedule. Seller is retiring but will assist with an orderly Transition. 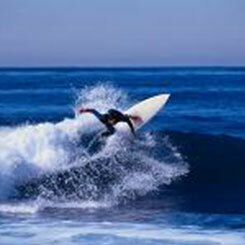 Located in a highly sought after and desirable area of Santa Barbara, this (3) op computerized G.P. 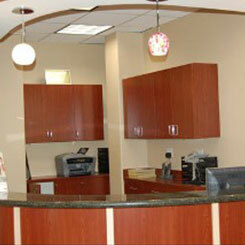 is located in a dental/medical/professional building complex on the first floor with easy access to parking. Dr. is retiring after (40) years. Significant goodwill available in the charts. Does little Pedo even tho many kids are attracted to the complex. Refers all specialities. (8-10) new patients per month. Sees (6-8) patients per day. Average Annual Gross Collections are approximately $250K/yr. on a relaxed (4) day work week. Cash/Ins/PPO patient base. The office is digital x-ray equipped. Support available during transition. Very attractive price. (5) op computerized G.P. Cash/Ins/PPO patient base. Recently remodeled. Annual Gross Collections $550K+/year. Seller moving. (5) op computerized G.P. (3) ops eqt’d, 4th partially eqt’d and 5th used for x-rays. Located on the first floor of a Prof. Bldg. 2017 Gross Collect. $383K with 2018 @ $400K+ on an easy (4) day wk. Cash/Ins/PPO/HMO/Denti-Cal pts. Approx. $3.5K/mos. in Cap Cks. (14-16) new pts/mos. Seller refers out diff. O.S., & Endo. Digital (Dexis) & Easy Dental. Seller has no website and does no advertising. Excellent growth opportunity. Practice will skyrocket with more hours, a website, some advertising and keeping the specialty work in house. Seller is retiring, but will assist with the transition. (6) op computerized G.P. (3) ops eqt’d. (3) additional plumbed. Located in a one story prof. bldg. on a main thoroughfare. Cash/Ins/PPO/and 10% Denti-Cal. Gross Collections approx. $280K/yr. 30+ years of Goodwill. Seller retiring. (4) op comput. G.P. Located in a shopping center with excellent exposure, visibility, signage and parking. Modern equipment and digital x-rays. Cash/Ins/PPO/Denti-Cal patient base. $590K+ collections in last 12 months and growing. Location has been a DDS office for last (18) years. Low overhead office. Seller retiring but will assist with Tramsition. (3) OP G.P. 2 ops eqt’d with newer eqt, 3rd op plumbed and eqt’d with an older chair and an x-ray unit. Shopping center location anchored with a grocery store. Patient base is Cash/Ins/PPO and a very small % of Healthy Families. No HMO’s and no Denti-Cal. (18) new patients per month. Annual Gross Collections approx $250K on a (4) day week. Seller has accepted a teaching position, but will help transition. (3) op computerized G.P. located in a shopping center with exposure, visibility and signage. Newer equipment. Ops are computerized and networked and are digital x-ray equipped. Excellent long term lease at a very favorable rate. Office open less than two years. Could be a Buyer's first office or a second location for a Buyer looking to expand. Seller presently working a part time schedule Sale includes all office and dental equipment, instruments, dental and office supplies, phone number, computers, dental software, rights to office lease, and some patient charts. Being sold as a Turnkey with some bonus charts. Seller moving out of state. (5) op computerized G.P. Located in a smaller professional bldg. Only G.P. in bldg. with several referring Dental specialists. Seller has slowed down due to health issues. Recent Annual Gross collections around $300K on 2-2 ½ days/week with (3) days of hygiene. Cash and Insurance patients only. No HMO’S, NO PPO’S and no Denti - Cal. Seller is referring out Ortho, Pedo, Perio Surgery, difficult O.S. and most Endo. Seller is retiring. This is a gold mine for a Quality Oriented Buyer. (3) op computerized General/Prostodontist Practice located in a one story garden style professional building. Cash/Ins/PPO patient base. Annual Gross Collections approx. $350K on two to three days per week. Seller retiring. A Dentists Dream! Gorgeous buildout with state of the art equipment. (3) op computerized G.P. located in a shopping center with exposure, visibility and signage. New/newer equipment. Ops are computerized and networked and are digital x-ray equipped. Long term lease with very low rent rate. Sale includes all office and dental equipment, instruments, dental and office supplies, phone number, computers, dental software, rights to office lease, and some patient charts. Being sold as a Turnkey with some bonus charts. Priced at buildout and equipment cost. BEAUTIFULLY APPOINTED (3) OP COMPUTERIZED G.P. LOCATED IN A STRIP CENTER WITH EXPOSURE/ VISIBILITY/ SIGNAGE. (2) OPS EQT’D/3RD PLUMBED. DIGITAL & PAPERLESS. 2016 GROSS COLLECT. $232K PART TIME WITH NO ADVERTISING. REFERRING ALL SPECIALTY WORK. POISED FOR GROWTH. (15) NEW PTS/MOS. CASH/INS/PPO/HMO. EXCELLENT, CENTRALIZED LOCATION. DOCTOR RETIRING. FANTASTIC OPPORTUNITY IN ONE OF SAN DIEGO’s PREMIERE COMMUNITIES. WON’T LAST! (5) op computerized G.P. 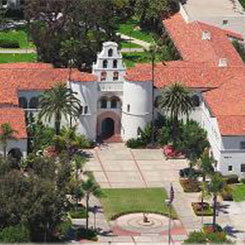 located in a small professional building near San Diego State University. 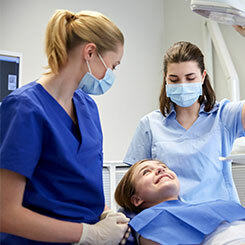 The office has newer equipment including digital X-rays and Pano, Dentrix software, a Sapphire light, an Accu Cam intra oral camera system, and central nitrous. Patient base is Cash/Ins/PPO only. 30+ new patients per month. 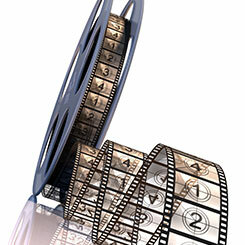 2006 Gross Collections are projected at $1.1M+ on a 3½ day week. Real Estate might also be available. Brand new office condo located on the first floor with street frontage. Zoned medical/dental/general office. Located on a well now, heavily traveled, major street in downtown La Jolla. Approx 1,000 sq ft in a vanilla shell configuration. The developer will credit buyer with tenant improvement allowance to do build out. (4) op computerized G.P. located in a strip center with excellent exposure/visibility/signage. High end neighborhood. (2) ops equipped (2) others plumbed. 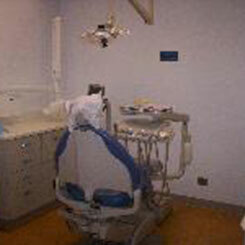 New, state of the art equipment with digital x-rays, Dentrix s/w at the chair, air abraision system, paperless office etc. Gross collections $325K part-time. Can do much more full time. Seller is selling to concentrate on his main office. 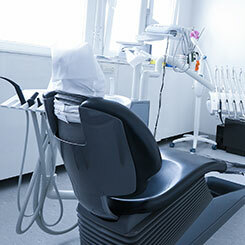 High producing and very profitable General Dental Practice for sale with Seller work back. Located on the pristine CA Central Coast, this (7) op computerized G.P. 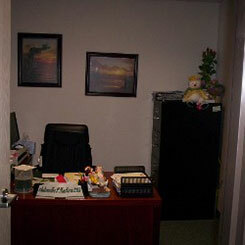 is located at street level, in a smaller Professional Building near the downtown business district. The Practice has 68+ years of Goodwill with Annual Gross Collections of $1.6M+ and a projected 2017 Gross Collections of $1.8M. Mostly Cash/Ins with only one PPO and no HMO or Denti-Cal. The two Sellers wish to continue to work for 8-24 months to facilitate a long term, successful transition, and to wind down their careers with less administrative demands prior to retiring. 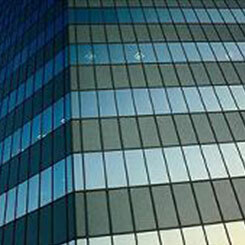 The office is attractive, upscale and modern, and is 2,300+ sq. ft. There is a good lease in place, and ample free off street parking for patients in the buildings dedicated parking lot. All (7) ops are digital x-ray equipped. The Practice uses Eaglesoft software, Schick “33” sensors, and is also equipped with a digital Orthopantomograph imagining system. Hygiene averages (12) days per week. There is a long term staff in place who are willing to stay and to continue to make the practice and the new owners successful. The Practice does no advertising, refers out difficult O.S., all Perio, most Molar Endo, Implant placement, and all Ortho, and is looking for a new owner to take it to the next level. Sellers will assist the new owner in doing so. If this opportunity is what you have been looking for, then please contact the Broker. Sellers have requested submittal of your Professional CV, and an executed Non-Disclosure Agreement (NDA) to be considered for this outstanding Opportunity. Turnkey office for sale. (3) op office. (2) ops equipped with newer eqt. (3rd) op is plumbed and being used as a private office. Digital x-ray and Pano. Computerized and networked. Paperless office. Eaglesoft s/w & Shick sensors. Located in a strip center on a main thoroughfare. Exposure/visibility/signage. Very low rent. Priced less than build out costs. Includes some patient charts. (Patient charts included but not guaranteed). Will go quickly. Super clean (3) op computerized G.P. located in a very desirable beach town. Minimal competition. Cash/Ins/PPO patient base. 2007 Gross Collections of $355K+ on 3 - 4 days per week. (4) days of hygiene. Seller refers out most speciality work. Seller retiring, but will assist with a smooth transition. Beautiful (4) op General Practice for sale. 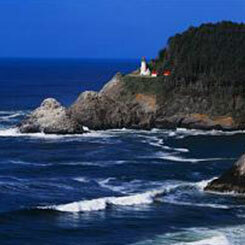 Located in a very desirable and tranquil Central CA coastal area. Cash/Ins/PPO patient base. No HMO's or Denti-Cal. Amalgam free, computerized office. 2004 Gross Collections $409K on a (3) day week. (35-40) new patients per mos. Office refers out all endo, perio, oral, and ortho. Located in freestanding building on main street with excellent exposure/visibility. Seller is moving and is motivated. 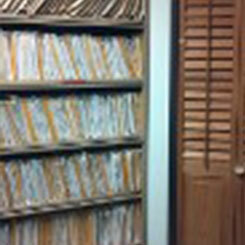 (4) op computerized General Practice located in a serene Central CA coastal community. Cash/Ins patient base. No PPO's, HMO's or Denti-Cal. Gross Collections $528K+ on 4.5 days per week. Seller moving. (4) op computerized G.P. 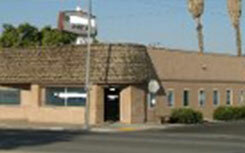 & Free Standing Building located on a main street in a smller progressive town in the San Joaquin Valley. Limited competition with a ratio of general population vs DDS’s in town of approx 3,000:1. Cash/Ins/PPO. No Denti-Cal and no HMO’s. Annual Gross Collections of $500K on 4 - 4.5 days/wk. Low overhead office with 28 years of Goodwill. 10-20 new patients per month. Free standing single use building also available for purchase. Seller is retiring, but will assist with buyer transition. Reasonably priced for a Win-Win situation! (6) op computerized G.P. located in a major shopping center with exposure, visibility and signage. Cash/Ins/PPO/Denti-Cal patient base. Office is 2,600 sq ft has a seperate x-ray room with an x-ray unit and a pano. Additionally, (3) of the ops are also x-ray equipped. There is a private office, a large waiting room, a large break room, sterilization area, a lab, a storage area, two handi-cap rest rooms and an equipment room with a two head compressor and dual vacuums. (4) ops are Belmont equipped and the remaining two ops are Pelton and Crane equipped. Annual Gross Collections are $500K/yr on a (4) day week. Practice previously did $1M+ when Denti-Cal was more active. Office has a very low overhead with a very high % net income. Seller commutes 100+ miles r.t. per day, is tiring of the commute, and wants to practice closer to home. Practice and Condo for sale. Be your own landlord! Newly remodeled, (3) op computerized G.P. located on a main thoroughfare. Cash/Ins/PPO/HMO pts. Digital x-rays & newer film based/digital convertible Pano. Annual Gross Collect. $200K+ p.t. Cap Cks of ~ $4.5K/mos. Excellent Buy & Combine office, Satellite office or Starter practice. TOTAL PURCHASE PRICE FOR BOTH COMBINED LESS THAN $425K !! WOW !! (4) op comput G.P. (2) ops eqt’d/(2) add. plumbed. Located in a beautifully built out condo located in a landmark prof. bldg. on a main thoroughfare. Turnkey Office w included charts. Charts included but not guaranteed. 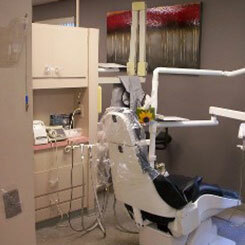 Newer Sirona eqt, Midmark cabinets, Dentrix s/w & digital x-rays. Annual Gross Collect approx. $120K - $130K/yr p.t. Seller moving, but will assist w a short transition. (4) op computerized G.P. (2) ops eqt’d, and (2) additional plumbed. Turnkey office with some included charts. Digital x-rays and Pano. Located in a shop. Ctr. With exposure/visibility and signage. Seller presently working one day/week. Seller has no time for this one, and is selling to concentrate on his main office. (5) op computerized G.P. located in a professional building with signage. 40+ years of Goodwill. 2013 Gross Collections $525K+ on a (4) day week. Newer equipment - digital x-rays, soft tissue laser and Pano. Cash/Ins/PPO pt base. No HMO and no Denti-Cal. Seller moving out of state. 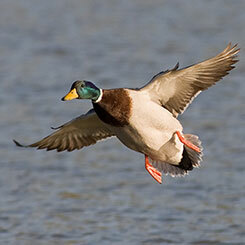 (5) op turnkey G.P. Office located in a freestanding bldg. on a main thoroughfare with some exposure, visibility and signage. (4) ops fully equipped. (2) ops are newer and (2) ops are older. 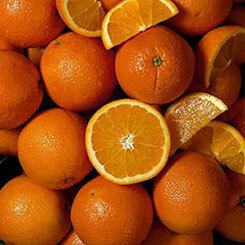 (5th) op is pumbed and presently used as a sterilization area. Excellent off street parking. Very low lease rate for a low overhead. Office has been a Dental Office for the past (17) years. Hispanic area with many walk ins. Sale includes all equipment, leaseholds, furniture, some instruments and rights to the office lease. Does not include patient charts, computer system or phone number. Reasonably priced for immediate sale. Priced less than build out costs. (3) op computerized G.P. located in a smaller dental/medical/professional building on a main thoroughfare. Some exposure. Fee for Service patient base. No PPO's, No HMO's and No Denti-Cal! Pano equipped. Very low overhead/high net practice. 2013 Projected Gross Collections of $525K. Seller to concentrate on his other practice. (3) op computerized G.P. located in a strip center on a very heavily traveled major thoroughfare. Excellent exposure, visibility, signage and parking! Cash/Ins/PPO and small amount of HMO patient base. Very low rent and overall overhead. Gross Collections $220K+. Office does no advertising at all. Office is Associate run (2) days per week, with owner only working twice a month. Seller works a very limited schedule due to his attendance in a dental speciality program. He is now graduating and planning to buy a specialty office. This practice has the capability of doing much bigger numbers with a full time owner operator and some advertising. (5) op computerized G.P. located in a one story professional building with monument and building signage and heavy daily building foot traffic. (4) ops equipped with new equipment with a 5th op plumbed. Drop dead gorgeous office with wood and tile floors, granite counters at the front desk, and designer paints through out. Office is fully computerized and networked including all ops. Dentrix software, digital x-rays including a pano. Cash/Ins/PPO and small amount of HMO. No Denti-Cal. 30+ new patients per month. Receives many referrals from other business in building, as well as advertising, website and existing patient base. Projected 2008 collections of $540K. Selling to concentrate on other office 20+ miles away. (4) op fully equipped turnkey G.P. office located in a store front on a main street with some exposure, visibility and signage. Excellent off street parking. Sale includes all equipment, leaseholds, furniture and rights to office lease but does not include patient charts, instruments, computer system or phone number. Reasonably priced for immediate sale. Part-time General Practice located in a Medical/Dental building. This practice is the only General Dentist in the building. Other building tenants are mostly M.D.'s. Perfect for referrals. Patient base is cash/insurance and PPO's. No Denti-Cal or HMO's. (4) ops of older equipment. Pano equipped. Gross Collections on two days per week is $80-90K/year with an over head of less than 40%. Seller does no advertising or marketing. Practice would do significantly better with a full time G.P. 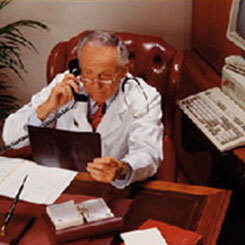 who is in contact with all the M.D.s in the building, and actively marketing and advertising the practice. Offering price is less than build out and equipment costs. Great starter practice or second office. WON'T LAST! General Practice and Condo for sale. 1,209 sq ft office condo and start-up practice located on a main street in the center of the medical/dental hub of town. (3) op office; (2) ops fully equipped with new ADEC equipment with the third op plumbed. The office is computerized, is intra oral camera and sapphire light equipped, and ready to go. Pride of ownership is evident throughout the office. The initial launch has been completed and has generated approx. (100) cash, insurance and PPO patients on a part time basis. The office does not take Denti-Cal nor any HMO’s. The office is ready for a buyer to take over and build their ideal practice. This is the chance you’ve been waiting for to own your own practice and real estate. 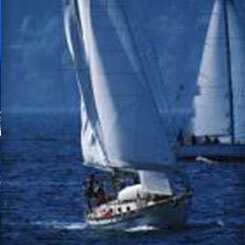 The combined sale price for both is below $350,000.00. Hurry! Won’t last! (4) op G.P. for sale. Located in a smaller professional building on a main street. 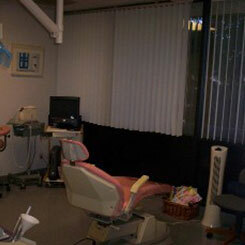 Office is computerized (Easy Dental), is intra oral camera equipped, and has a Casey Patient Education System. Patient base is mostly cash and insurance/PPO with a small amount of Denti-Cal/Healthy Families. Collections are in the $10K-15K/mos range on a part-time basis. There is a long term lease in place with ridiculously low rent, and the Net income % vs Gross is well above average. 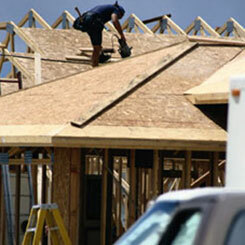 The Moorpark area is booming, with an estimated 2,000 new homes being built in the near future. A full time D.D.S. with a solid marketing plan in hand, will make this practice skyrocket! Seller to concentrate on his other practice closer to L.A.
Turnkey office located in a shopping center with exposure/visibility/signage. (3) ops of older equipment. Low rent. No Patient charts. Sales price lower than buildout and equipment costs. Will sell fast! (4) op computerized G.P. located in a freestanding building in a smaller East Ventura County town with limited competition. Office has excellent exposure, visibility and signage and is located on a main street. Area is fast growing and close to major freeways. 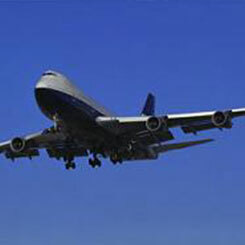 Practice Grosses $200K+/year on (3) days per week with several months off for vacations. Cash/Ins/PPO/Denti-Cal/Healthy Families Patient Base. Practice has the ability to collect $500K-$700K/year if operated full time by a younger more assertive DDS and an active recall system. Seller is retiring, but would help with a transition. Building is also available for sale. EMERGENCY SALE! G.P. and single use Dental Bldg. for sale. (4) ops of older equipment. Cash/INS/PPO/Denti-Cal patient base. 2004 Gross Collections approx. $300K on (4) day week. Bldg is a 1,200 sq ft free standing bldg. on a main street with a pole sign. Excellent exposure and visibility. (15-20) new patients per month. Long term staff willing to stay. (8) op G.P. on main street with excellent exposure, visibility and signage. Cash/Ins/PPO/Capitation patient base. Capitation check $10K+/mos. Computerized office, digital x-rays, average annual gross collections $850K/year. Seller works in office, but has two part-time associates. Opportunity for absente owner run. Contact our dental brokers today for the purchase or sale of your dental practice!